How do the Devils fair against the Bruins? 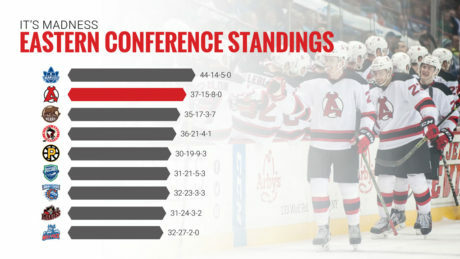 With 16 games remaining, the Devils still have time to catch the Marlies. The Devils go toe-to-toe against the first-place Marlies Sunday. 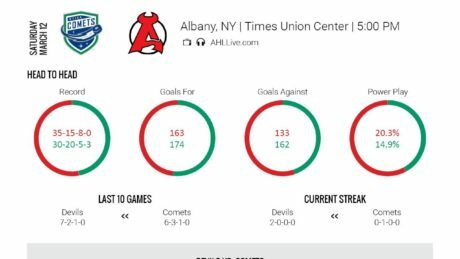 How do the Devils and Comets stack up? 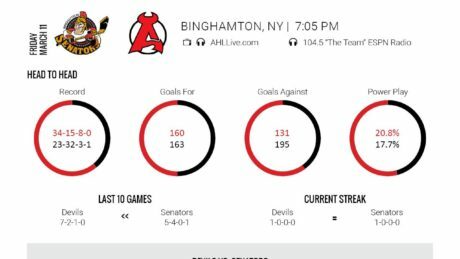 Tale of the tape between the Devils and Senators. 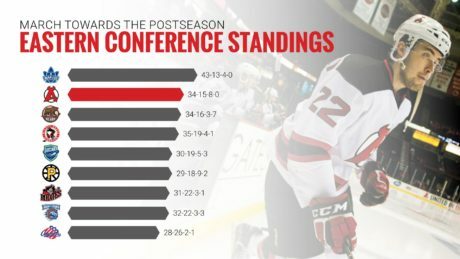 As of March 7th, The Devils remain in second place in the Eastern Conference standings. Devils and IceCaps meet for the second straight game. Here is how the team’s compare. 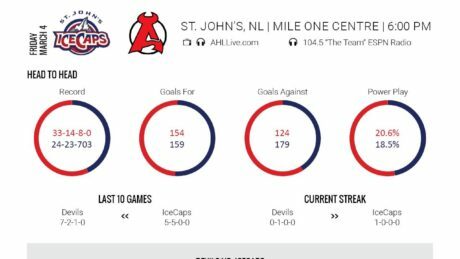 How do the Devils and IceCaps matchup ahead of their game Friday? 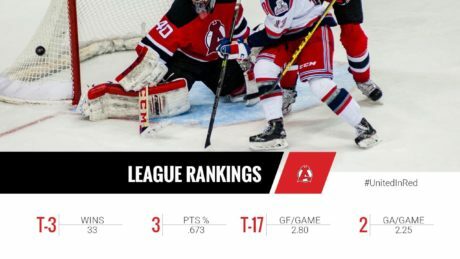 The Devils rank near the top in several different categories this season. Devils and Marlies to head-to-head Tuesday. Here is how they match up. How do the Devils and Sound Tigers match up? 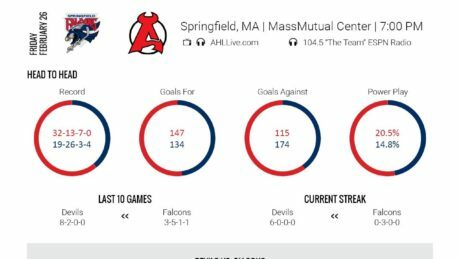 The Devils goes head-to-head with the Falcons Friday at MassMutual Center.